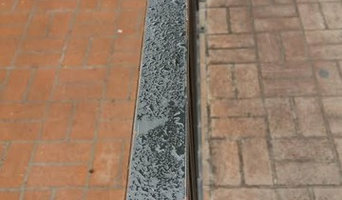 Los Angeles & Ventura Power Washing Service. Driveway, Walkway, House, Solar Panel Cleaning, Any Hard Surface Cleaning. Remove Dirt, Grime, Rust & Mildew. Home Brite offers post-contruction cleanup services to both residential and commercial customers throughout greater Los Angles. This cleaning service is specifically designed for homeowners or businesses who have done remodeling or new construction and need to rid their home, office or apartment of the dust and minor debris that is left behind. Post-construction cleaning service consists of highly trained cleaners who are extremely familiar with the needs and requirements of this very special and detailed cleaning service. 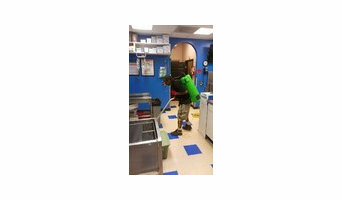 We are a full service commercial janitorial company....your one stop shop for cleaning of virtually all situations. 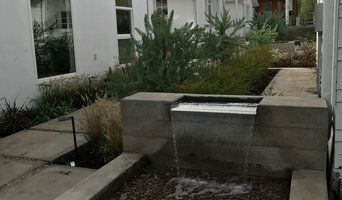 We provide a broad range of cleaning services including nightly janitorial; daily porter and exterior cleaning services for office buildings, apartments, HOA;s, etc; window washing, pressure washing, steam cleaning, carpet shampooing, strip/wax/machine scrub/buff floors, solar panel cleaning, gutter cleaning, etc. You name it, we clean it! We use only top grade equipment and appropriate solutions to complete your job in the most professional manner. Cleaning is a science, not a given, so don't trust your job to just anyone....if you're gonna do it, Do It Rite! Fully licensed and insured. Purpose: Our purpose is to be one of California’s most trustworthy, reliable, dependable, pressure washing service available to both commercial industries and residential properties. To provide the best client customer relationship obtainable on the west coast by far. Mission: To provide a positive aim to keep our cities clean, beautiful, and attractive looking today and in the years to come. With over seventeen years of experience we will concentrate on servicing properties with the most affordable prices available anywhere. Vision: To aspire to a business leader focused on employing not only the unemployed, but the underprivileged and also the overlooked youth, which are looking to make a mark in their lives. To assist the unemployed in providing not only for themselves but their families as well if needed. To provide our communities, and youth with jobs of employment opportunities as opposed to gang life, crime and promiscuity. Here at Maintain Construction we are the experts in home maintenance care and exterior upgrades. These upgrades focus on increasing overall value and enjoyment for homeowners all year long. Driveway Cleaning Garage Cleaning House Washing Roof Cleaning Gutter Cleaning Window Cleaning Patio Cleaning Pool Deck Cleaning Paver Cleaning Our residential service focuses on providing the customer with a wide range of services. We attend to the spring and fall cleaning task that gives your property a “refreshing facelift”. Our residential cleaning services includes exterior cleaning of all surfaces including brick, vinyl siding, wood siding, soffit and fascia. We clean terracotta and concrete roof tiles, asphalt shingles, clay tiles, cedar shakes, metal roofing and more. Call us today for a free estimate and appraisal. We commonly clean clay roof tiles, terracotta roof tiles, concrete and clay roof tiles along with asphalt shingles or metal roofing. We also provide professional house washing and gutter cleaning. Our services are in strict accordance with the industry’s leading roof cleaning associations including the Roof Cleaning Association of America and also in accordance with the leading roofing material manufacturers such as GAF. We ensure all of our personnel abide by industry safety standards which requires our crews to wear safety harnesses, so you can rest assured that we not be causing injuries to our team on your property. We pride ourselves on the quality of our work, our attention to detail, our reliability, affordability and our dedication to workplace safety. We enjoy a perfect safety record and work hard to maintaining it on every job. We can save you thousands of dollars on replacement costs with our professional roof cleaning services. Cleaning your roof can prolong the life of your roof. Call us today for a free estimate. Making your property look beautiful with services ranging from pressure washing and window cleaning, to wood restoration and tile & grout cleaning. We service homes, businesses, apartments, and office buildings. 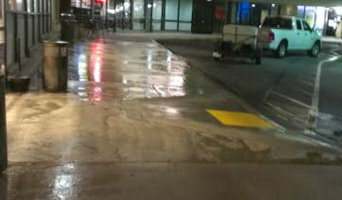 Shine Walk is the premier power washing company in the Greater Los Angeles, Ventura County, Orange County, San Bernardino County and surrounding areas. 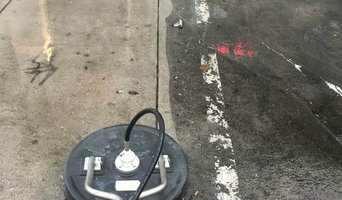 Shine Walk power washing is surprisingly efficient and affordable when considering exterior cleaning service for your Commercial and Residential property. Our attention to detail, outstanding customer service, and expert use of commercial grade equipment, ensures that you receive the most thorough and long-lasting results – 100% Satisfaction Guaranteed! For those of you that have an uninvited guest at your home or business that you can't seem to get rid of on your own, be sure to contact the professional and experienced team at Animal Boy Trapping Services LLC in Long Beach, California. Animal Boy Trapping Services LLC is the number one company to call for: dead animal removal, raccoon trapping and removal, skunk trapping and removal, bat, bee, coyote, rat removal. If you are searching for the best animal trapping service in Long Beach, CA contact Animal Boy Trapping Services LLC today to rid your home or business of any animal or creature that you would like to have permanently removed. What do Thousand Oaks, CA exterior cleaners do? Find exterior cleaners in Thousand Oaks, CA on Houzz. Search the Professionals section for Thousand Oaks, CA exterior cleaners or browse photos of completed projects and look for the exterior maintenance professional’s contact information.